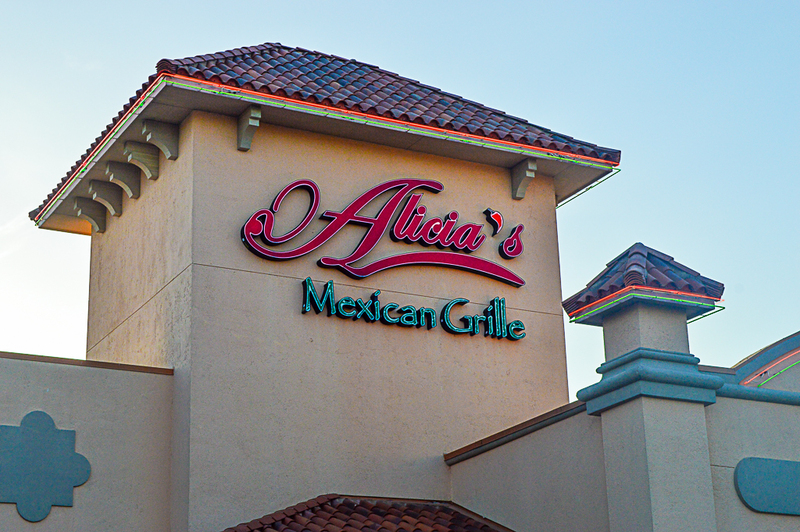 Alicia’s Mexican Grille is located in Northwest Houston just off Hwy 290 and Cypress Rose. 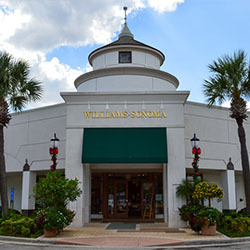 This is the location we visited, however you can also find this wonderful Tex-Mex restaurant at three other locations in West Houston, Katy and Spring. 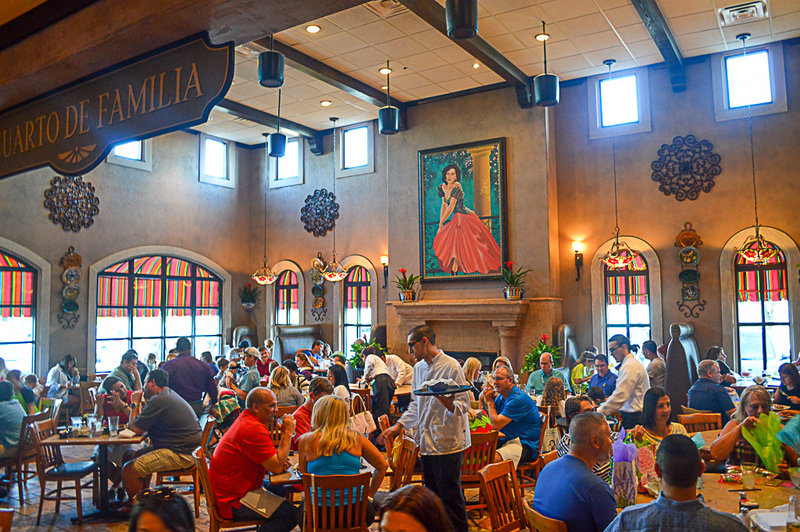 Alicia’s Mexican Grille is a family establishment in every facet. 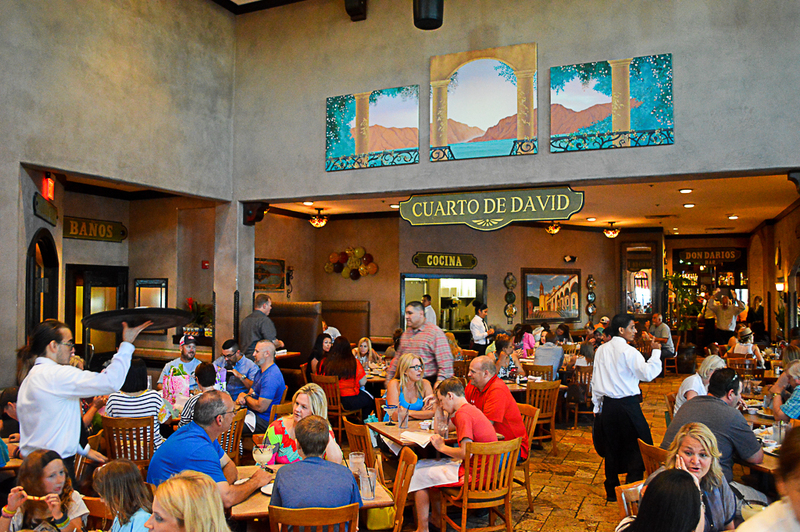 David Herrera and his family have done an amazing job with their restaurants – each one named for a family member. 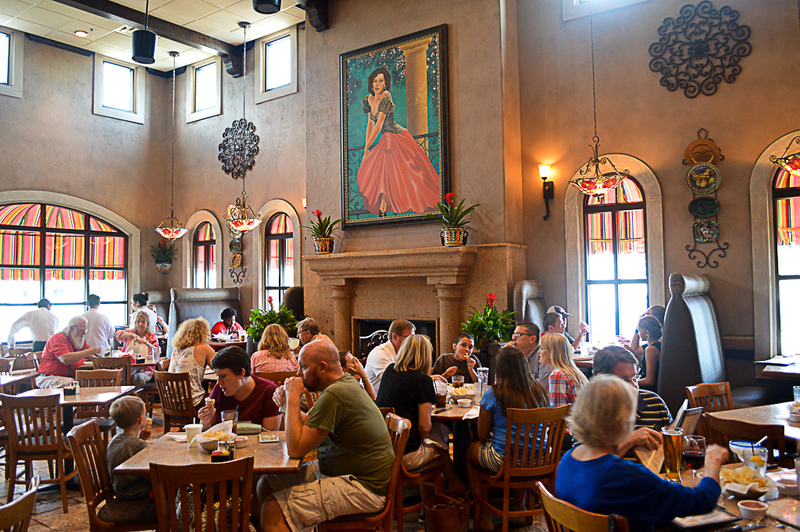 Alicia’s (named after David’s wife) now has 4 locations serving this fine Mexican cuisine to Houstonians all over the city. 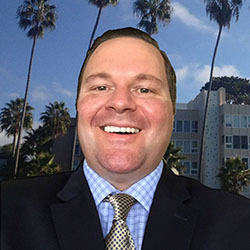 David and his family have been providing affordable, quality cuisine and cocktails and have built a loyal local following here in Cypress. And now, the whole city is quickly finding out what the locals have been raving about for years. 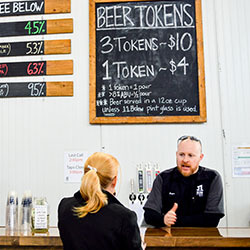 The minute you step through the doors, you can’t help but feel the family vibe. 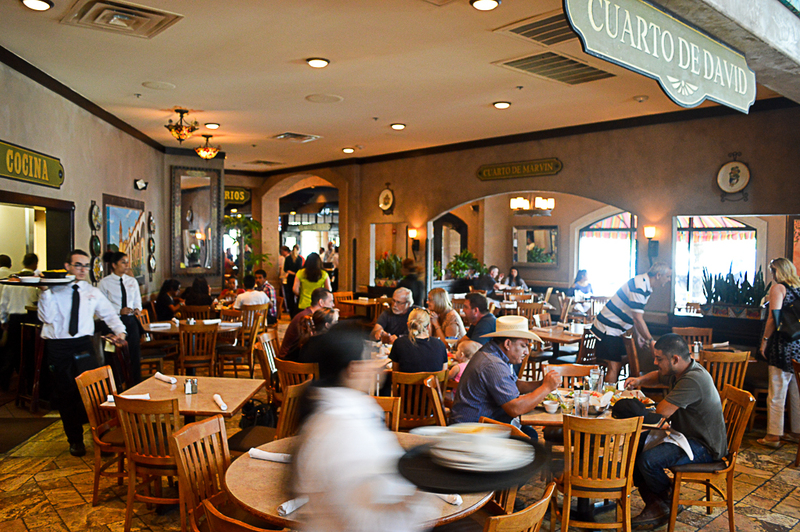 The magnificent Mexican décor is extremely well designed and festive, which sets the stage for your dining experience. Alicia’s has a number of different rooms to choose from, depending on the size of your group. I love the bar area, which is perfect for happy hour or a few drinks before dinner. And finally, you must check out the large dining room with its large fireplace and an exquisite painting of Alicia herself. Simply beautiful. I had been anticipating this visit to Alicia’s for awhile now. 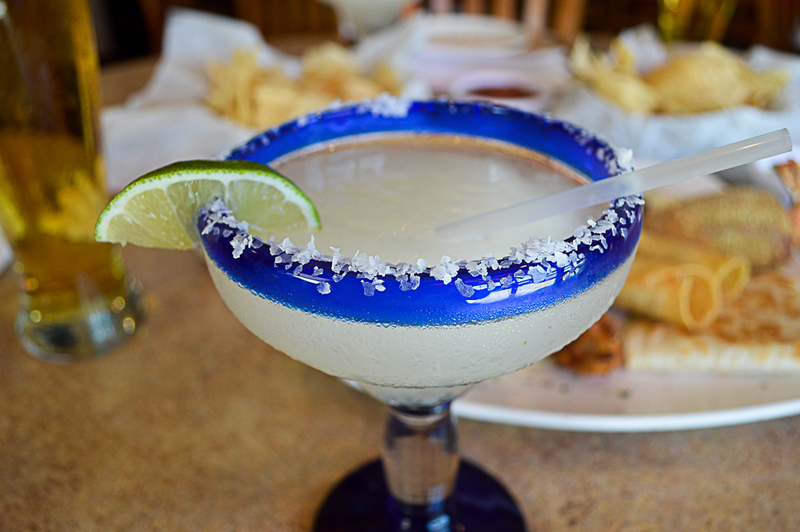 I had been spending more and more time in the Cypress area and the locals kept asking me why I hadn’t stopped by this local Mexican restaurant. I had no answer. 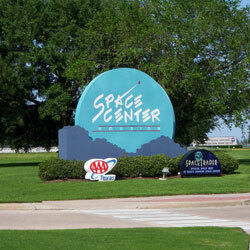 So, when I showed up on a Friday evening, I was looking forward to the experience. I had my menu printed out and I was ready to order. We brought a group of four so that we could sample a number of menu items. We started off the evening with a couple of Modelos and nibbled on some chips and salsa while waiting for our friends. This is a warning, you must be very careful not to go overboard on the chips, they are so delicious and both the red and green sauces are pretty amazing. We ordered a couple of house margaritas and chose the Antojitos Mixtos to start. This is a great way to start the night, especially if you have a small group who want to try a few different things. You get two Beef Fajita Nachos, two Chicken Flautas, two Stuffed Jalapenos, a Mini-Quesadilla, sour cream and Chile con Queso. As a family bonus, they set a couple of Colas de Raton on each side of the plate. These two whole fresh jalapeños were stuffed with fresh jumbo Gulf shrimp, Monterey, cream and cheddar cheeses… then lightly breaded and fried. The Colas de Raton were so big we cut each one in half and shared them among the four of us. The Beef Nachos had a large piece of fajita meat perfectly placed on a large chip on a bed of refried beans and topped with melted cheese. 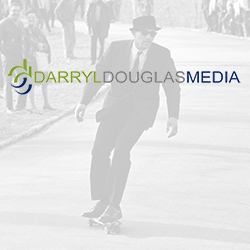 Check out the photography and let me know what you think. I think I will have to grab a full order of Beef Fajita Nachos on my next visit! The two stand-outs were the Beef Nachos and, of course, the Colas de Raton. Delicious! For our second course, we savored the Enchiladas de Camaron and the Chicken Alicia paired with a glass of La Crema Chardonnay – a perfect choice of wine recommended by our server. This Chardonnay presented a sweet, peachy aroma and a taste of apple and vanilla. Really tasty and just 99 calories a glass! 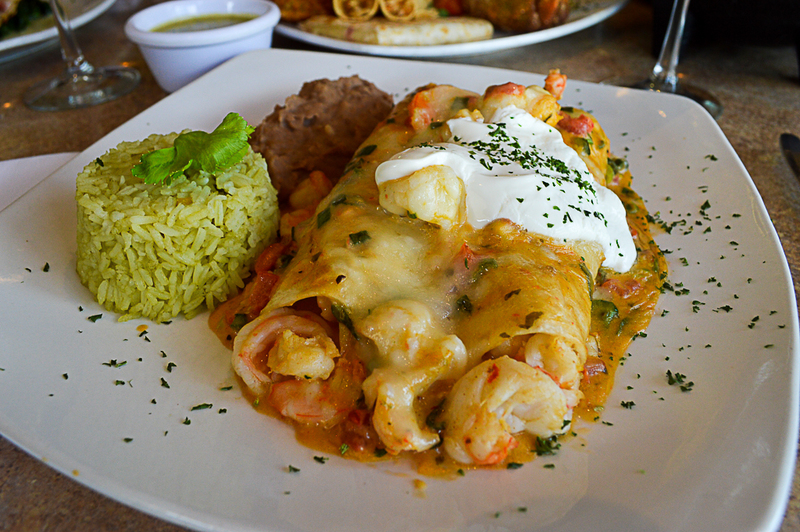 The first to arrive were the Enchiladas de Camaron: two flour tortillas filled with spiced shrimp and poblano peppers sautéed in a light Ranchero and Sour Cream Sauce. My love of enchiladas knows no bounds and the creaminess of this dish was something else. You can taste the fresh shrimp in every bite. I looked for more and noticed the plate had been cleaned – obviously a fan favorite with this group. Ha! The Chicken Alicia was next up. Now, I have to say it’s not what I would usually choose at a Tex-Mex restaurant – I usually steer towards beef. That’s why I think it is always a good move to dine family-style – you get to try different things you wouldn’t normally order. 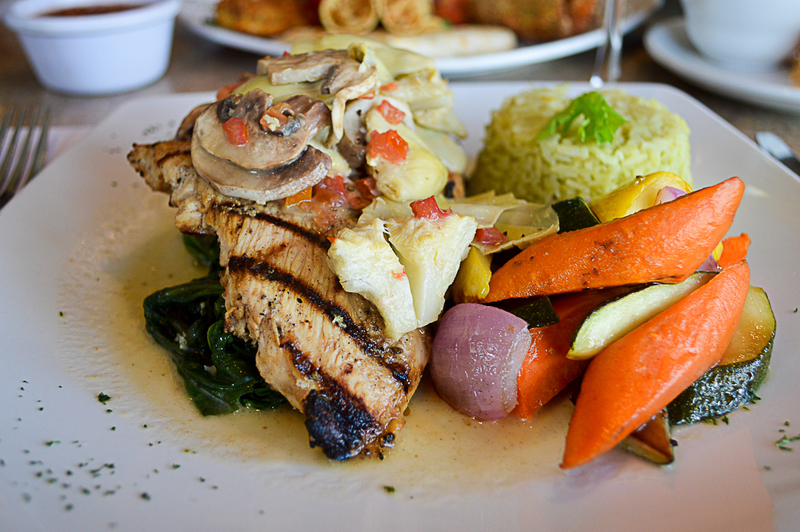 The grilled chicken breast was incredibly flavorful and even had sort of a smoky taste which I just loved. 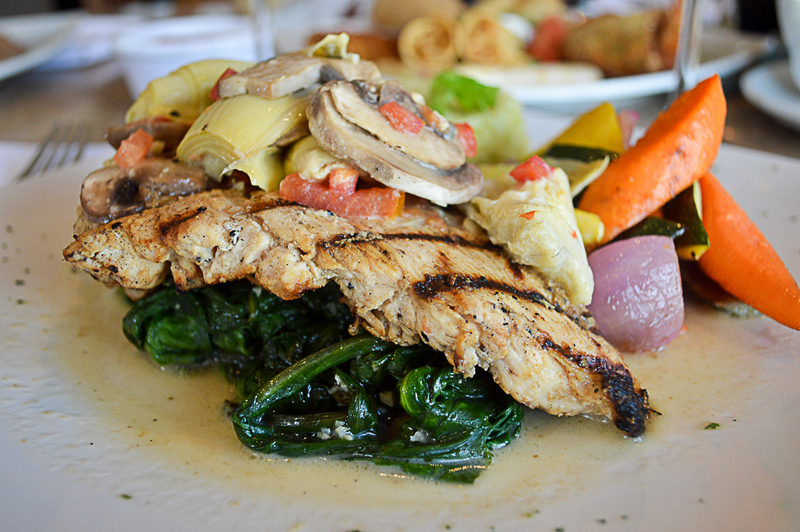 It was perched up on a bed of spinach in a savory white wine and lemon butter sauce with a touch of garlic. There were also sautéed field mushrooms and artichoke hearts piled high on top of this delightful dish. 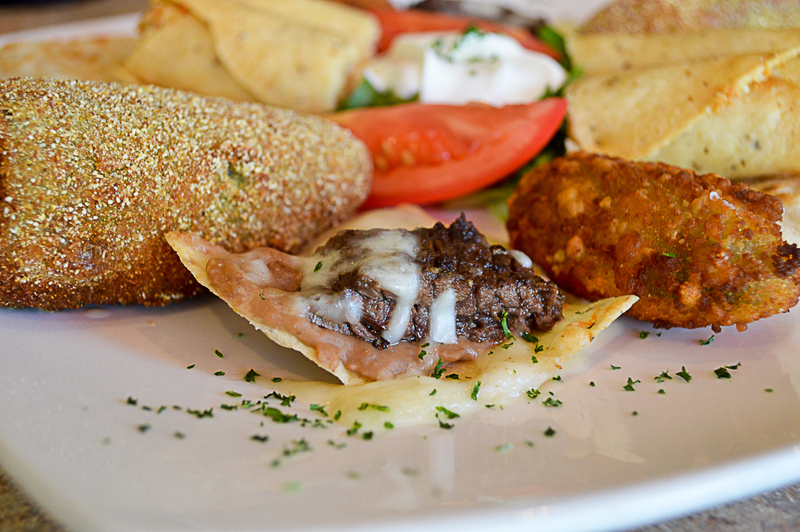 Served with vegetables and rice, this is the perfect entrée for those who would like a lighter meal. I was a strong instigator for our 3rd course and I could literally smell the wonderful aroma coming from kitchen as it made its way to our table. The Parrillada Mixta and Alicia’s Molcajete were two absolutely delicious entrees, especially when paired with a glass of Silver Palm Cabernet Sauvignon. The Silver Palm had a cherry oak color and flavor with a soft finish. I highly recommend this pairing. Parrillada (which is the Spanish word for barbecue) has quickly become a go-to dish for me at any Mexican restaurant where it is served. 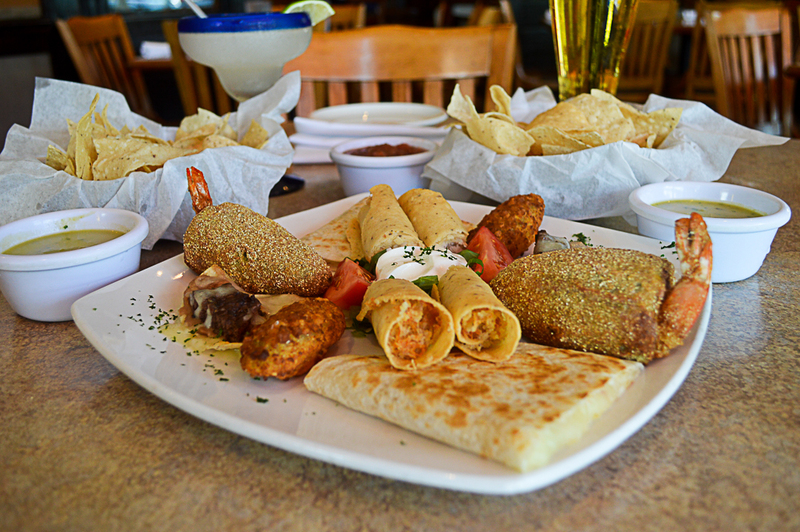 The Parrillada Mixta at Alicia’s is not to be reckoned with. 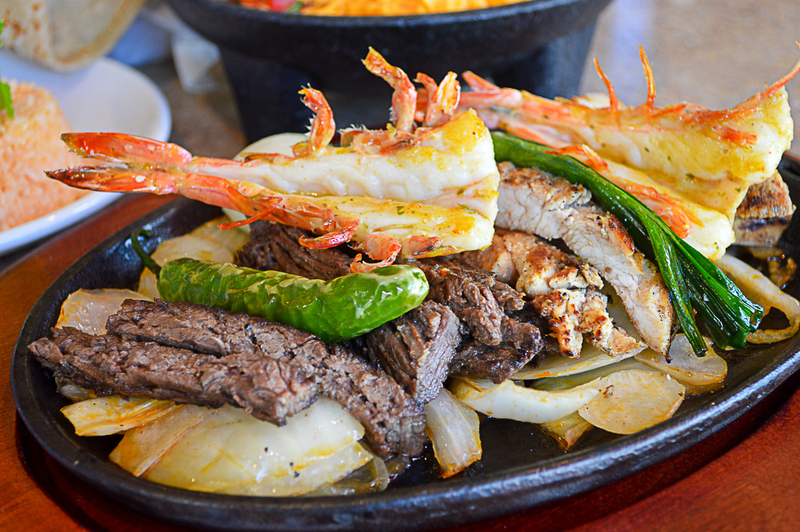 Check this out… Certified Angus Beef and Chicken Fajitas are served with two extra jumbo shrimp, Charro Beans and Mexican Rice. 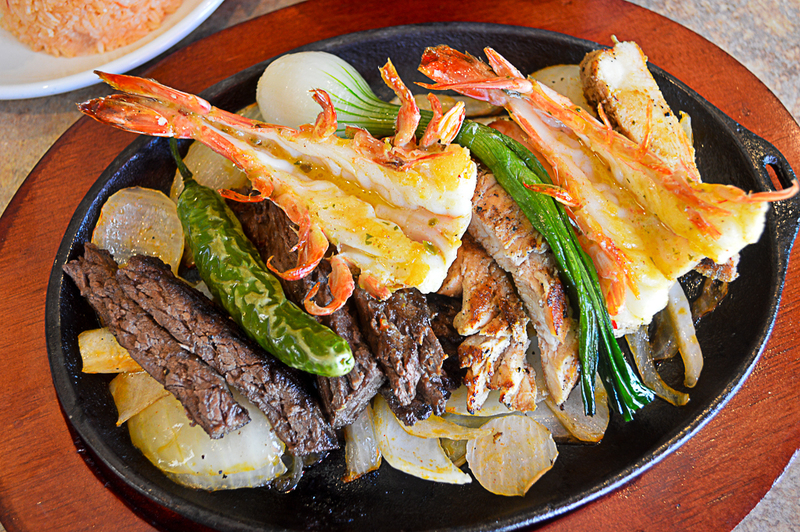 Not only do the butterflied jumbo shrimp look as beautiful as they taste, but the perfectly-cooked Beef and Chicken Fajitas are extremely juicy. The corn and flour tortillas are amazing here, but this dish does just fine on its own. Amazing is an understatement! My next choice was Alicia’s Molcajete. A Molcajete is the three-legged stone bowl, sometimes shaped as an animal, that you see at Mexican restaurants. 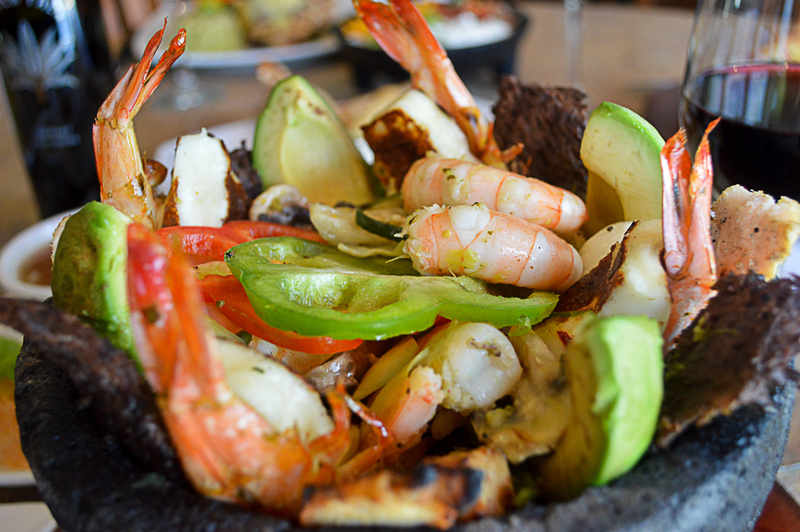 It was a very nice touch bringing this sizzling signature dish out in a Molcajete… adds to the experience, for sure. 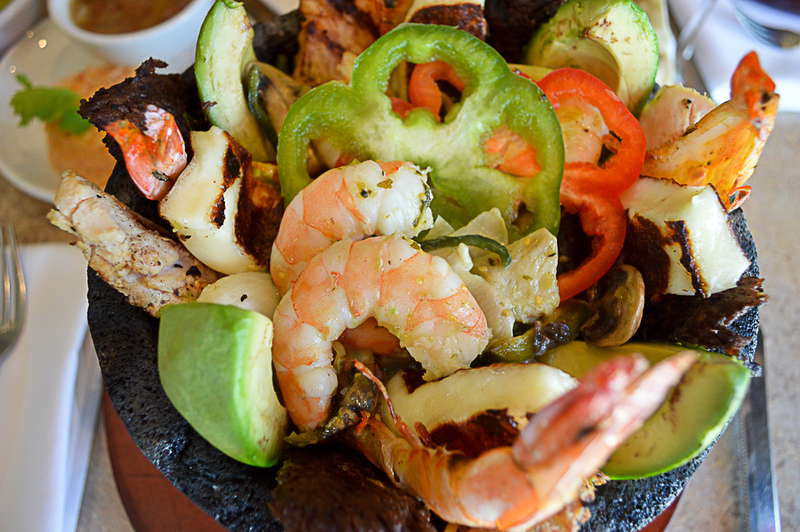 Alicia’s Molcajete was served up sizzling hot with grilled Panela cheese, Shrimp, Chicken and Beef Fajitas, and avocado. Also packed into this mesmerizing Molcajete were artichoke hearts, field mushrooms, poblano peppers and scallions in a Roasted Tomatillo Sauce. 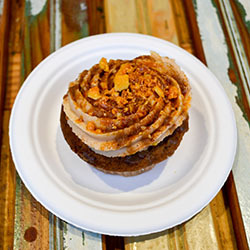 The flavors I got with this gem were unlike anything I had experienced before. 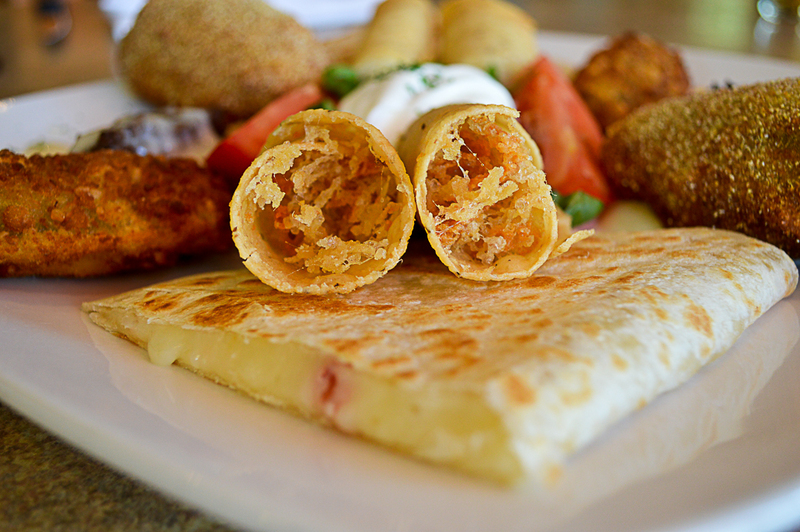 The grilled Panela cheese stole the show. 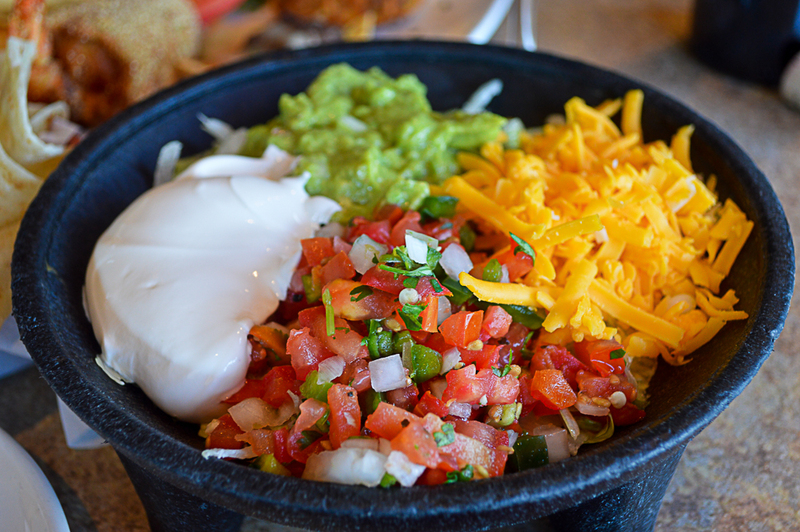 This bowl of fresh and quality ingredients literally defines the experience here at Alicia’s. 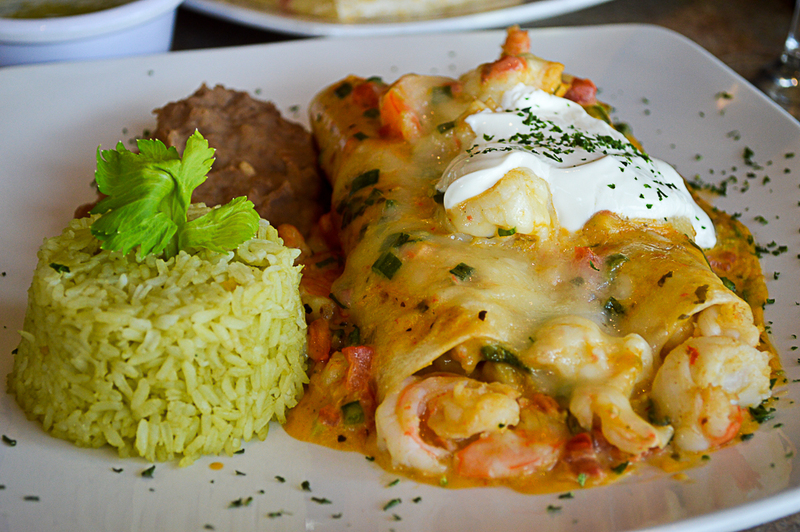 Juicy, perfectly-cooked fajitas, plump shrimp and crispy peppers were again enjoyed without a single tortilla. I was at a loss for words. 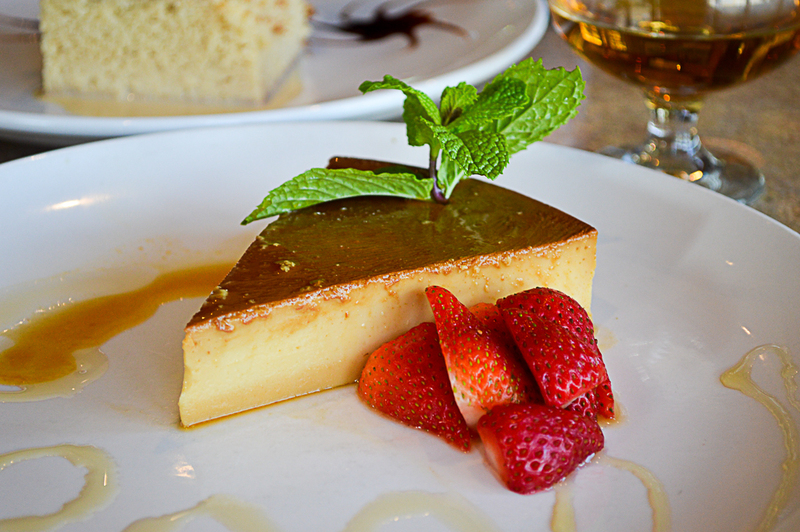 For me, no Tex-Mex experience is complete without homemade Flan and my favorite Tres Leches Cake. 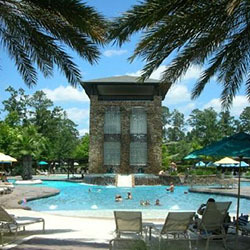 We had been having such a great experience here at Alicia’s that we decided to take it to another level. We sipped some Don Julio 1942 Anejo, one of my very favorite tequilas, with dessert. This tequila is exceptionally smooth and has a natural brown color from being aged in oak barrels for over a year. Do try it, you can thank me later. Alicia’s Homemade Flan is delightfully creamy, rich, orange-scented custard topped with syrupy golden caramelized sugar in which I can see my reflection. Seriously! The dessert is served with fresh strawberries. So sweet! 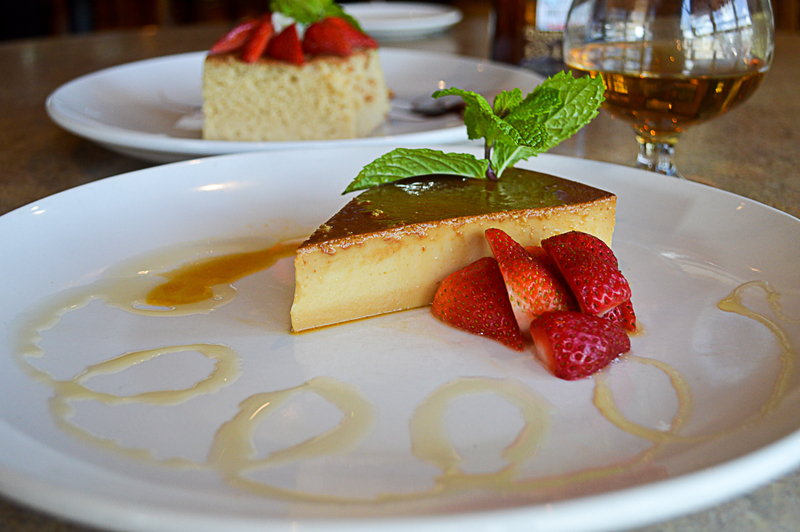 I recommend the Flan here if that’s your thing – you will leave with a smile. 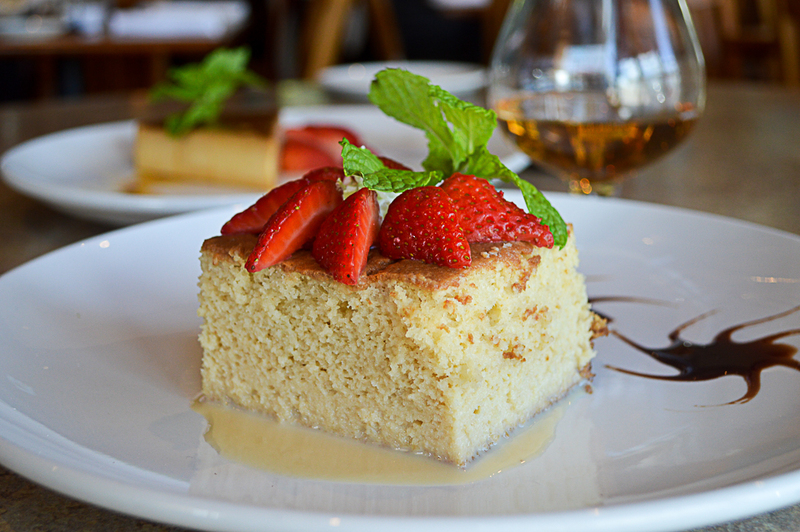 I have written and raved about the many different Tres Leches Cakes served at Tex-Mex restaurants all over Houston. 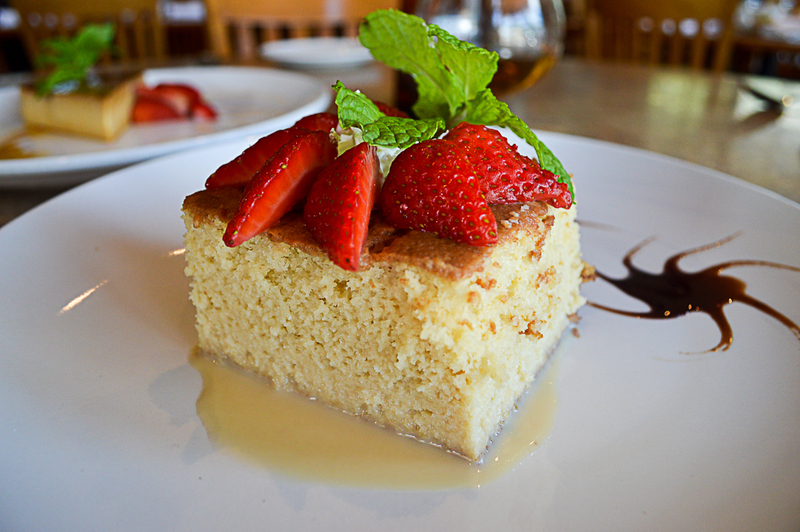 Well, the Tres Leches at Alicia’s Mexican Grille is out-of-this-world! The fluffy, milk-soaked cake was topped with fresh strawberries and served with a bit of chocolate syrup plated for dipping. My favorite dessert came through for me again! People ask me all the time, “What are the keys to building a great restaurant?” My answer has never changed: fresh, high-quality ingredients. As long as you have that… everything else can be figured out. Well, here at Alicia’s, it seems they figured it out a long time ago. 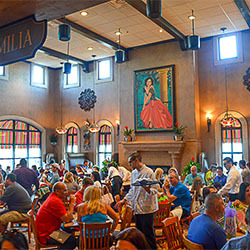 The authentic Mexican food served up at Alicia’s Mexican Grill is unique, fresh and flavorful. Let’s just say I can’t wait for my next Tex-Mex vacation!